Reading is one of the most important fundamental skills that children learn. Unfortunately, many children still struggle to read proficiently, leaving parents to seek alternative educational environments and educators to seek innovative teaching methods. With that in mind, seasoned reading specialist Rita Wirtz shares a commonsense, time-tested reading guide that offers a step-by-step approach for successfully instructing the fundamentals of reading to readers of all ages. 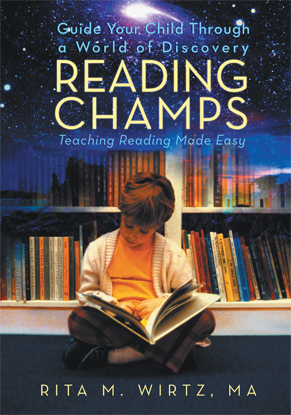 Reading Champs provides fundamental building blocks and success secrets for any parent, tutor, and teacher with an aspiration to transform new and struggling readers into reading champions.